The most recent IP newsletter of New Zealand law firm Simpson Grierson carries an article, "Honey, I Over-Valued the IP! - WaikatoLink Ltd v Comvita New Zealand Ltd". The case, heard before the High Court, arose from a failed intellectual property agreement which the University of Waikato's commercialisation and technology transfer company WaikatoLink struck with honey-based healthcare product manufacturer Comvita. 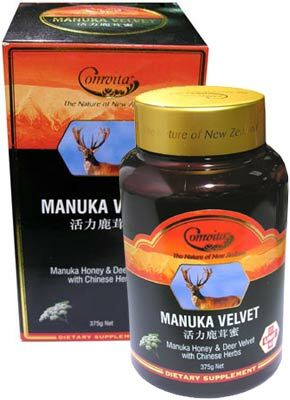 The question to determine was whether WaikatoLink was barred from receiving payment under the agreement by virtue of it having made false representations regarding the imminence of discovery of the "Unique Manuka Factor" or UMF -- the ingredient of manuka honey with known curative properties -- and the technology used in isolating and extracting it. Comvita said it was induced into agreeing to pay too much. The sad reality was that the compound had already been discovered a year before by an Italian and was found to be carcinogenic. "... the Court considered the overall value of the IP under the agreement as well as the benefit derived by Comvita despite WaikatoLink's inaccurate claims. In addition to patents relating to the UMF discovery, the agreement assigned ownership of certain other patents (eg for a "honey gel") which were also the subject of negotiations. Since settlement, Comvita had licensed these patents to a third party, asserted rights to the IP, and enjoyed related tax benefits. The connection between the benefit already derived by Comvita and the false or misleading statements made by WaikatoLink was seen to be minimal. Despite the nominal $1 formally ascribed to the patents, Comvita was held to have received adequate value for the $1.5m already paid under the agreement. However, the further $2m WaikatoLink claimed to be owed was seen as sufficiently linked to the misleading/deceptive statements to be the subject of a relief assessment. Under the FTA, the portion of the remaining $2m that Comvita would be required to pay depended on a number of discretionary factors. The discretion allowed in the relief assessment enabled the Court to take into account that the UMF compound, as discovered by a third-party, was actually less valuable by its very nature. As well as potentially being capable of causing cancer and diabetes, the compound was not patentable. Comvita was aware of these risks. It followed that the true value of the IP agreement was not necessarily tied to the claimed breakthrough. The Court then considered the material objectives of the arrangement, including: to prevent competitors from obtaining the potential benefit; and to secure an ongoing relationship with the researcher in question. Neither of these were affected by the false claim. Finally, Comvita's contribution to its loss was considered. As well as failing to heed the advice of its own sceptical scientist, Comvita also failed to limit the EAC. This undermined the reasonableness of Comvita's reliance. The Court held that, while the misleading statements assisted in inducing Comvita to enter into the IP agreement, Comvita's own conduct contributed materially to its loss. Therefore Comvita was held liable for 50% of the $2m still payable under the agreement". The notion of the Fair Trading Act imposing criteria which regulate a contractual payment after the event is one which has potentially unsettling for any intellectual property transactions in which the inherent nature of the IP and its likely market impact are mis-stated or wrongly assessed. This contract is interesting because one might have assumed that, with WaikatoLink being a research-to-manufacture operation and Comvita being a significant company with a strong international presence, it was the former that would be more commercially naive and therefore more likely to need legal protection against the latter. "... IP owners must be careful not to overstate the nature or value of IP. Even if not intending to mislead, owners must consider whether their representations may cause the other party to over-value the IP"
"... In this case, the combination of WaikatoLink's misleading statements and Comvita's contribution to its own loss led to a resolution a lot like Manuka honey itself - a relatively sweet end to a sticky situation for both parties, but a remedy that was less therapeutic than the parties had hoped for". You can read this note in full here.